Pristine END unit at desirable Glen Abbey wit over 2000 square feet of finished home on 3 levels. Three bedrooms, two baths, dining room, living room, fireplace, large loft, full walk out and finished lower level, attached direct entry garage, deck, cathedral ceiling and a new fabulous kitchen with granite counters, stainless steel appliances and new COREtec floors through the first floor. You will be surrounded by a natural environment with beautiful landscaped areas, fitness trails, swimming pool, clubhouse, basketball and tennis courts. Ample resident and guest parking. Whether it's a quiet walk through Glen Abbey's 52 wooded acres, a downhill run on one of the area's close-by ski slopes, an afternoon match on our private tennis courts, a dip in the pool or a short drive to the ocean, you will enjoy this pet friendly location for sure. 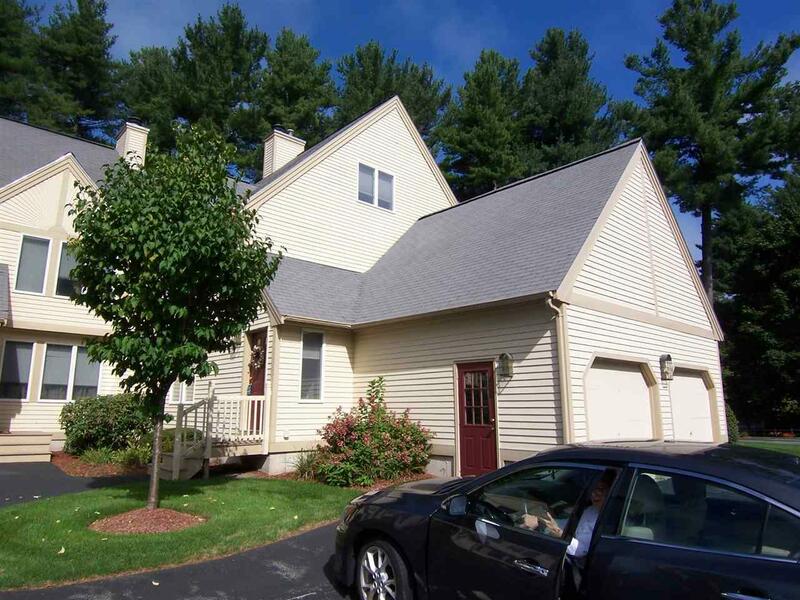 Glen Abbey is also in close proximity to Charlotte Avenue Elementary and Pennichuck Middle School as well as Nashua North High School and vibrant Downtown Nashua. GLEN ABBEY IS MORE THAN A HOME, IT'S A WAY OF LIFE! Sold by Bean Group / Amherst. Courtesy of Rick Ruo of Ruo & Haschig Realty Inc..